The US military is deploying 2,500 troops from the 82nd Airborne Division to Kuwait, with the declared goal of taking part in operations against Islamic State (IS, previously ISIS/ISIL) in both Syria and Iraq, according to the Army Times. 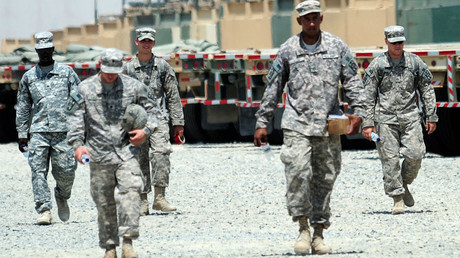 The deployment of 2,500 personnel will include units of the Fort Bragg-based 82nd Airborne Division 2nd Brigade Combat Team (2nd BCT), Army Times reported on Friday, adding that 1,700 troops from the 2nd BCT have already been deployed to the region, spreading between Iraq and Kuwait. On Thursday, an unnamed military official told Reuters the Pentagon wants to have a rapidly deployable Kuwait-based force as part of the ongoing change in the US strategy to defeat IS. Army Lieutenant General Joseph Anderson, the US Army’s deputy chief of staff for operations, told House members on Wednesday that the additional troops will be “postured there to do all things Mosul, Raqqa, all in between,” as cited by the Army Times, referring to the Islamic State’s two main bastions in Iraq and Syria respectively. “So the whole brigade will now be forward,” General Anderson reportedly added. However, the Army command refrained from providing details on the exact timeline of the new deployment. "There are a number of options under consideration as the Coalition looks for ways to accelerate the defeat of ISIS," US Central Command (CENTCOM) which said that it was "aware of Lt. Gen. Anderson's remarks" told RT. "We continue to believe that the most effective way to achieve a lasting victory is to do it by, with, and through our partner forces who have the greatest stake in the outcome. For operational security reasons, we will not discuss future deployments or contingency operational planning." According to the open sources, the 82nd Airborne’s 2nd BCT comprises over 4,000 soldiers forming several infantry, artillery, cavalry, and combat support battalions. Army General Joseph Votel, the CENTCOM commander, told the Senate Armed Services Committee that “as we move more towards the latter part of these operations into more of the stability and other aspects of the operations we will see more conventional forces requirements perhaps,” as quoted by Stars and Stripes. “We have become very comfortable and capable of operating together,” he added. 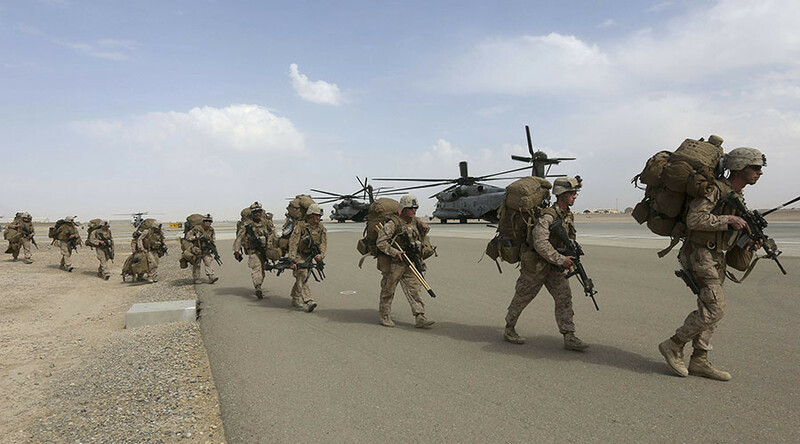 At the moment, roughly 6,000 US troops are operating in both Iraq and Syria, according to the Army Times. In the latest deployment, around 400 Marines and a Stryker infantry unit set up a fire support base outside the Syrian city of Raqqa.